We say Cartier and you will probably say Tank. 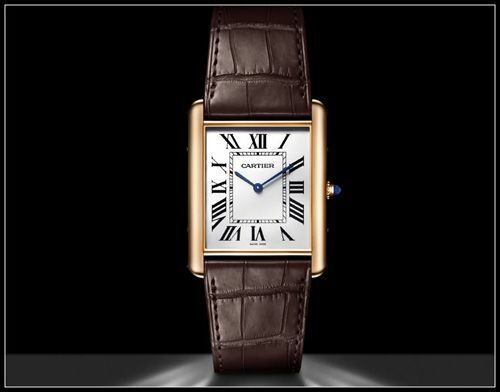 The Tank is a watch that has been in Cartier’s collection since 1919 and designed by Louis Cartier (hence the LC). The prototype was already built in 1917, but the model was marketed two years later. Pictured below is a LC Tank that dates back to 1998, in platinum and with a very flat F. Piguet movement (Cartier’s 021MC caliber). This watch measures 33.5 x 25.5mm. Inspired by the armored Renault tank (1917), the Cartier Tank watch was given to General John Pershing, who served in Europe during the first World War. If you take a close look at the Tank watch, it looks like the horizontal section of an armored tank. 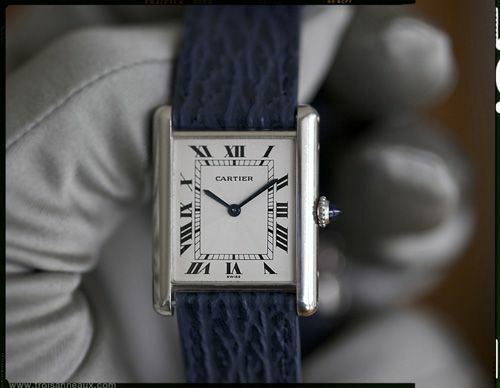 The Tank is Cartier’s signature watch for many collectors, although the most wanted Cartier watches by the masses are still the Santos (100) and Pasha models (source: Chronolytics). However, with the introduction of the LC Tank XL Extra Flat timepiece the Tank might become more sought-after in the near future. The new Cartier LC Tank XL Extra Flat timepieces will be introduced on the 22nd of June in their boutiques. This ultra flat watch (34.9 x 40.4mm and only 5.1mm in height) has a wonderful Piaget based movement (caliber 430MC) and a very cool plain silvered grained dial. More information can be found in this excellent article by Geo (friend of the show).